Entryways are often overlooked but give any guest the first impression of your home. Investing in custom-built stained glass for your entryway can heighten curb appeal, improve property value, and create that highly desired grand entry feel. With numerous incentives, stained glass can transform any existing entryway. Achieving that grand entry feel can be difficult especially if your layout doesn’t inherently provide that openness. Leaded stained glass for entryway doors, sidelights, and transoms not only elevates your curb appeal, but it also brings in an abundance of natural sunlight immediately brightening up your home. Without having to do major renovations to the interior of your entryway, stained glass adds that warm, welcoming feel. 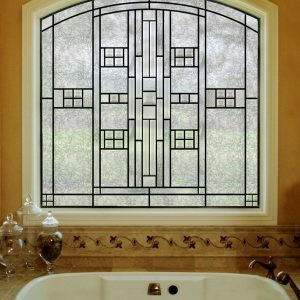 Stained glass also has amazing privacy benefits that completely obscure unwanted views from nosy neighbors and onlookers. Custom entryway stained glass gives prospective buyers that immediate impression of a high-end custom build. It’s very inviting and drastically improves curb appeal. By setting your home apart from others in your neighborhood in this competitive buyer’s market, you’ll appreciate your stained glass investment. 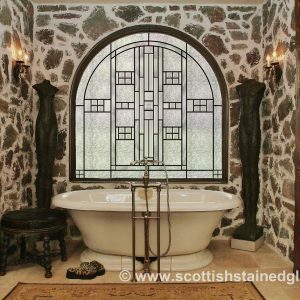 Custom builders often order our stained glass for their homes for this particular reason. Our custom builder application showcases all the various designs you can put together. If there are design elements that you’re looking for that don’t fit with what’s showcased on our website, please contact us! One of our stained glass artisans is happy to work directly with you to create the stained glass masterpiece of your dreams! 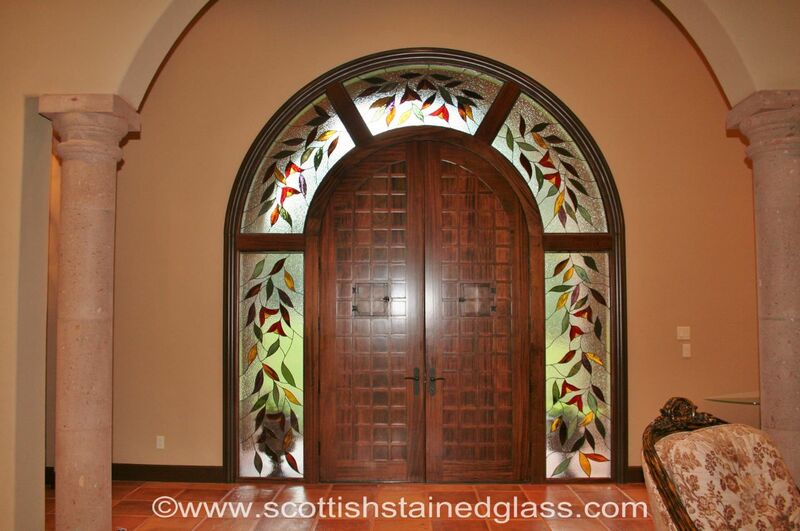 For more information regarding custom entryway stained glass, please contact us!